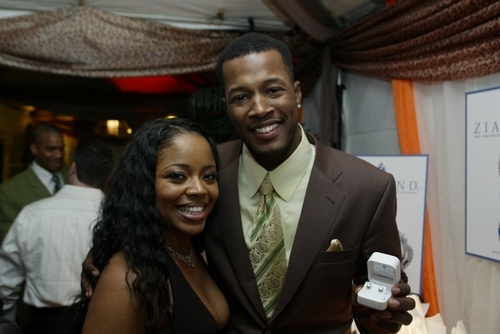 Flex Alexander and Shanice at Ziamond Cubic Zirconia CZ Jewelers with a pair of Ziamond Cubic Zirconia CZ Stud Earrings in 14k white gold. Ziamond's high quality cubic zirconia cz Stud Earring Collection features the finest quality cubic zirconia available. Available in different shapes and sizes, set in solid 14K yellow or white gold. Also available in 18K or luxurious platinum.